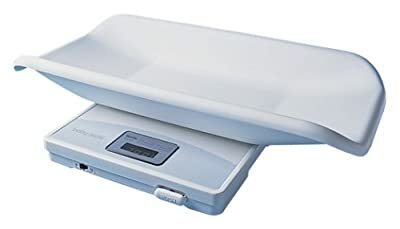 Competitive Edge Products, Inc is delighted to offer the fantastic Tanita 1584 White Digital Baby Scale. The Tanita 1584 Digital Baby Scale is perfect for accurately measuring your little ones! White in color, this smooth design will provide an easy, accurate reading of your growing little one without leaving the house. With 1 ounce sensitivity and a lock-in weight, this scale is great for constantly moving babies up to 40 pounds. The no tare and auto power off ensures you won't be wasting power. The easy-to-read, large LED screen and deep tray will provide simple weighing. The Tanita 1584 Digital Baby Scale, White is highly respected and a popular choice for most people. The most budget-friendly of all Tanita's digital pediatric scales, the 1584 provides a generous weight capability with 1 oz (20 g) sensitiveness. Standard features include: weight lock-in, absolutely no tare and automobile power off. View YouTube Video "Baby Scales"